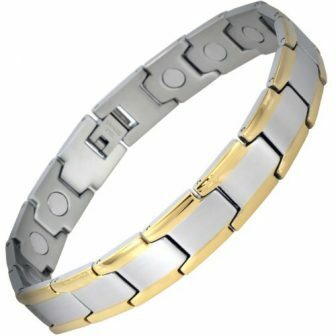 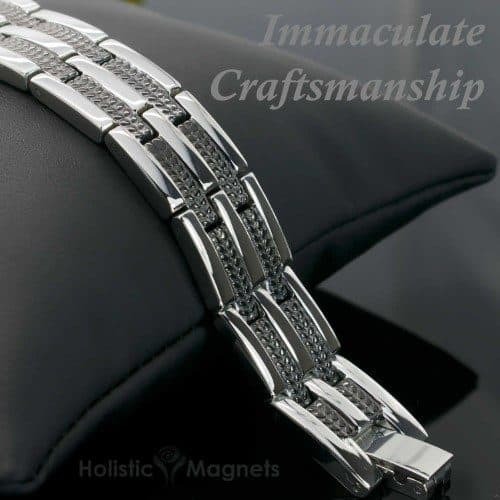 Glamorous two-toned mens stainless steel magnetic bracelet, hand crafted of high quality 316L stainless steel with electroplated hard wearing polished finish. 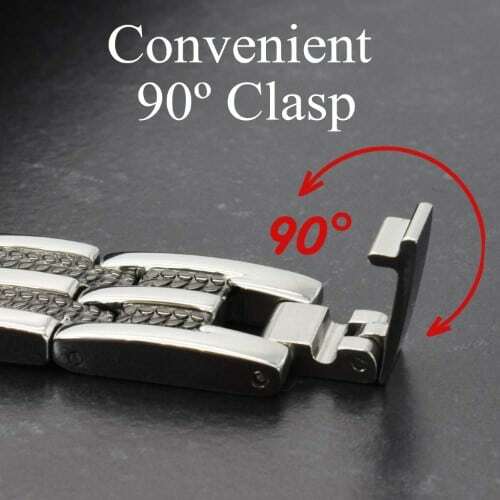 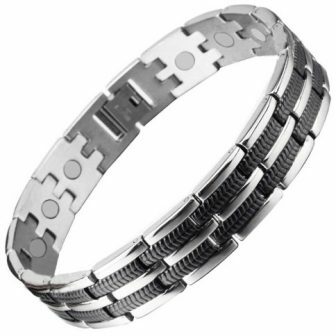 This truly luxurious mens stainless steel magnetic bracelet boasts with striking silver and black finish. 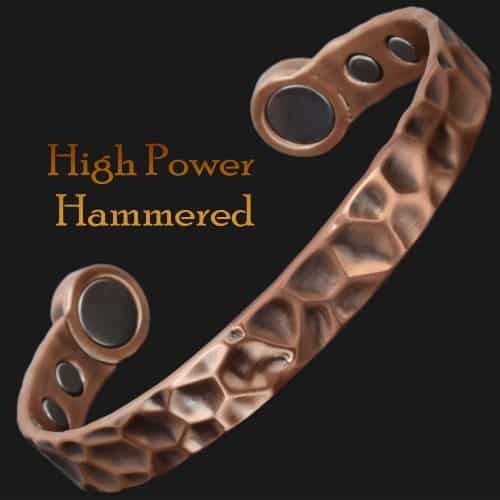 Guaranteed to be lead and nickel-free. 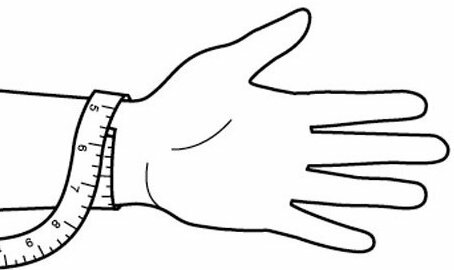 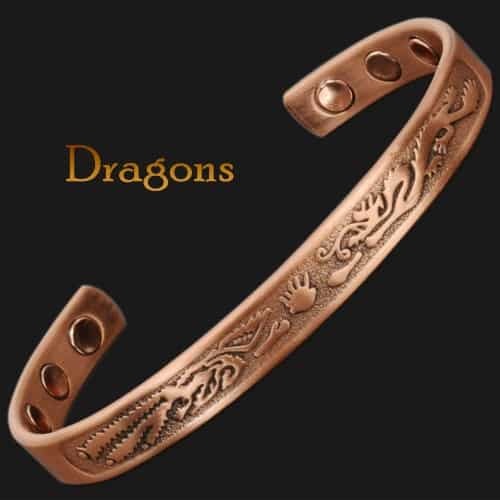 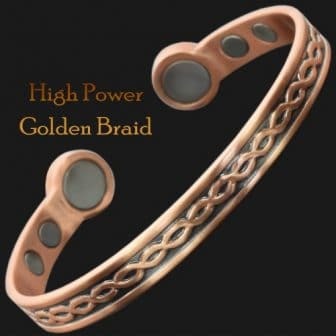 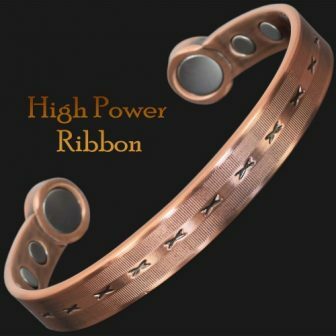 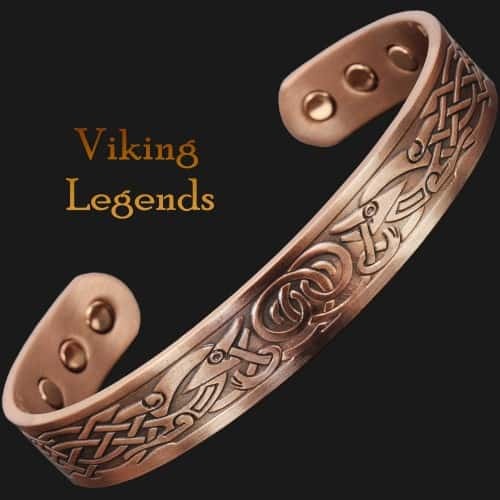 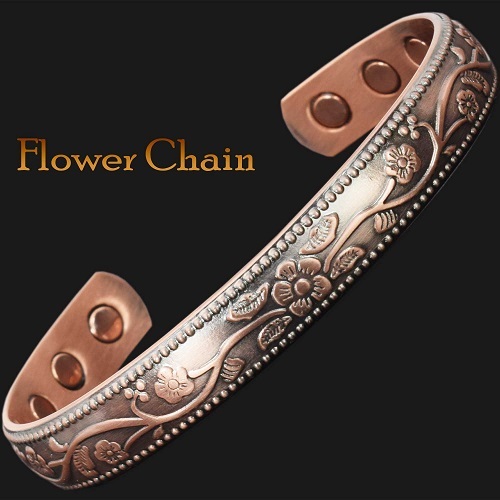 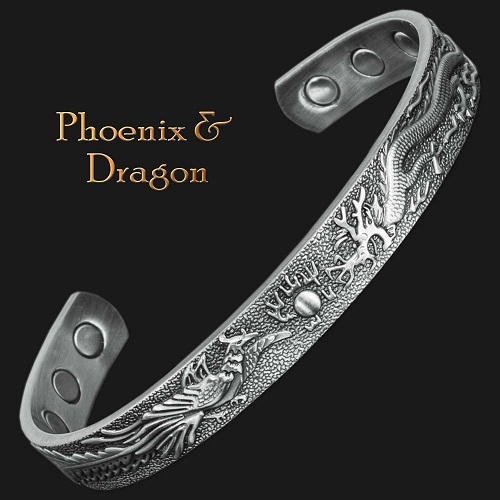 The design of the bracelet permits for the north pole of the magnets to face the skin and to create a powerful, healing magnetic field around your wrist. 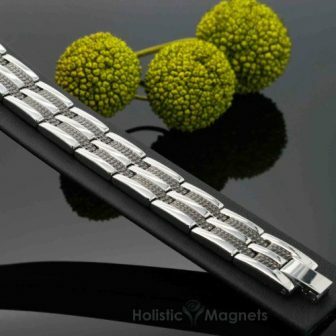 North pole facing magnets considered to be most beneficial for human health. 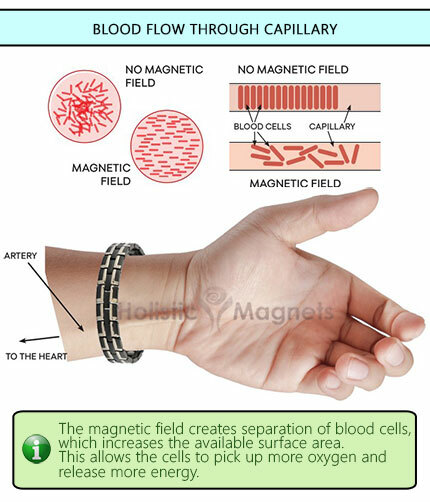 The south pole of the magnets is securely cupped and doesn’t interfere with the magnetic field. 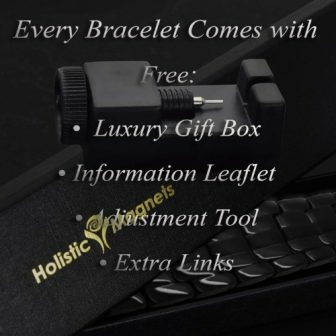 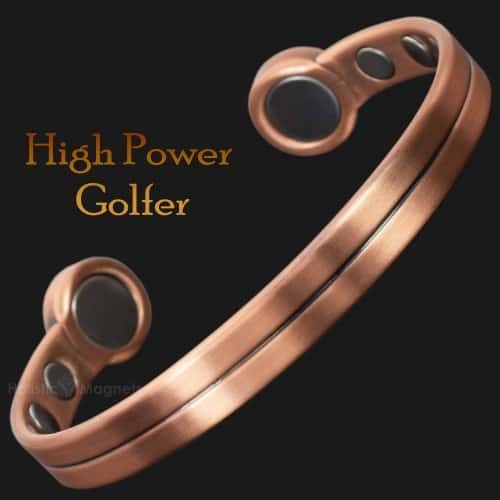 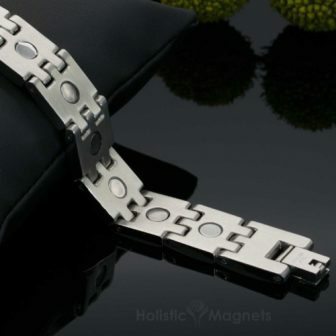 Magnetic bracelets help relieve pain and discomfort associated with arthritis, rheumatism, carpel tunnel syndrome or injury and reduce swelling and stiffness. 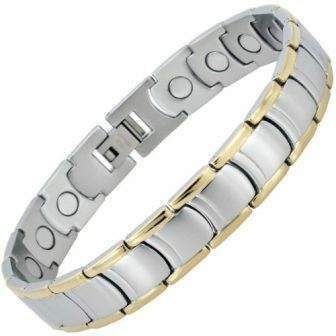 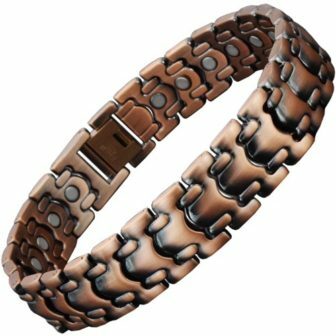 Magnetic bracelets assist to healing nervous tissue and bones due to the magnets ability to accelerate the migration of calcium ions. 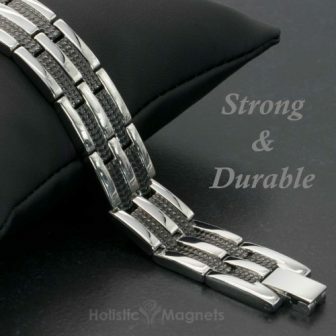 Help the body produce more endorphins, which are known as natural painkillers. 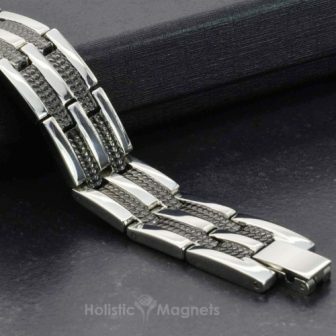 Magnetic bracelets promote peaceful sleep as the magnets can influence the production of the hormone melatonin in the body.